Forget the hassle of selfies and timers on a private tour that includes a professional photographer. 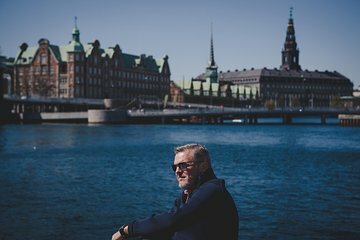 Waste no more time posing with selfie sticks, and gain artistic images of you and your party exploring the Danish capital, ideal for sharing with family, friends, or on social media. Enjoy a personalized itinerary, as well as editing and retouching services provided by your photographer. More edited photographs can be purchased separately. Possibility of choosing the photographs for editing is available. The departure location is established in the planning process. This will allow us to save time and cover more locations depending on the planning. Please book at least 7 days in advance before the desired date for shooting. This was a fantastic tour! Imagine having a private tour guide of the city who also is taking professional photographs of you around beautiful Copenhagen. The pictures were amazing and the guide was top class. Highly recommended.